Zero Off has been honored to work with some of the most respected and accomplished talent in the industry. Team Zero combines precision engineering, process-driven manufacturing and dedicated support with the knowledge, dedication and passion of the world's best athletes! Competitive jumpers have one “Nightmare” in Freddy Kreuger! Three-time world champion and current Skifly world-record holder at 312 feet. Freddy is an integral part of the Zero Off development team and the foundation for the future of Zero Off’s success with the jump program. Nate is the newest member of the Zero Off team. 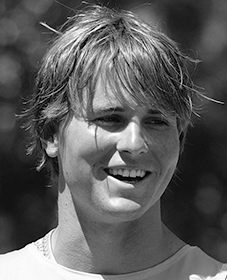 He holds the World Slalom Record (2 ½ buoys at 43 feet off); is current 2x World Champion (2013 & 2015); has been honored as USA Water Ski Male Athlete of the Year (2012 & 2013), 2013 IWWF Athlete of the Year, 2015 AWSA Slalom Skier of the Year; and earned eight slalom championships in 2015. Nate is a great addition to the Zero Off development team and will be an important part Team Zero’s future.